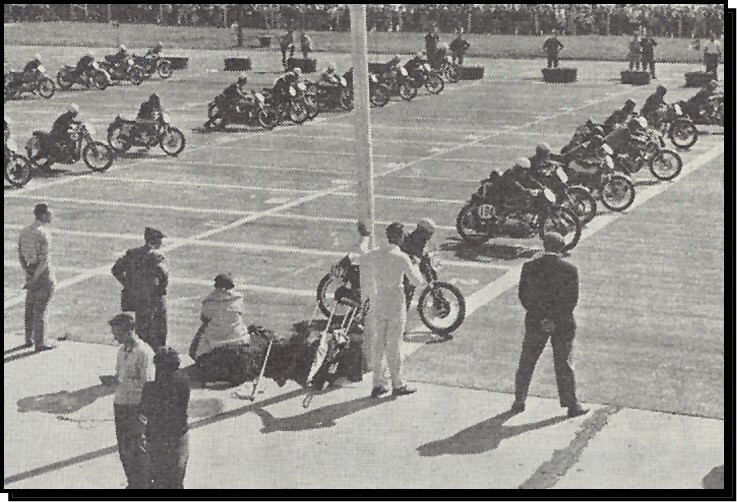 The British Empire Motor Club hit the ground running a mere 80 years ago and immediately began to play a vital role in the growth of motorcycling as we know it today. 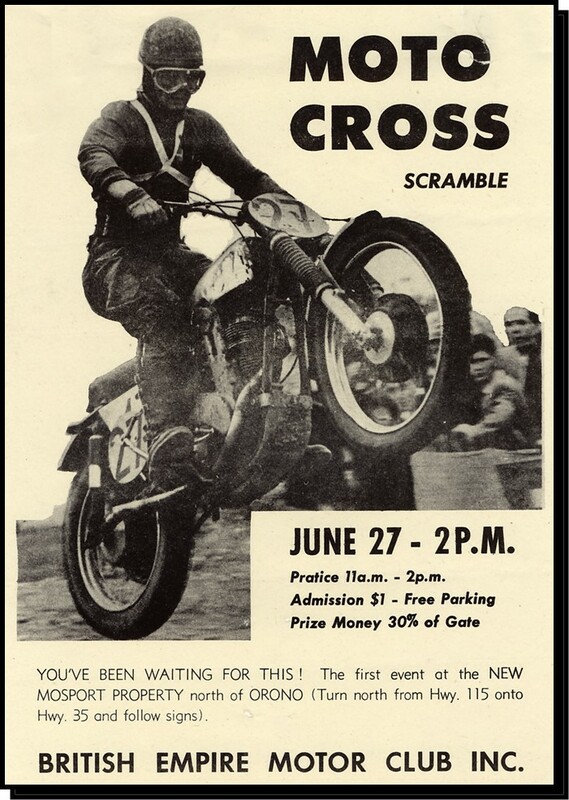 As the name implies, it was launched to promote British motorcycles and the types of events to which they were best suited. 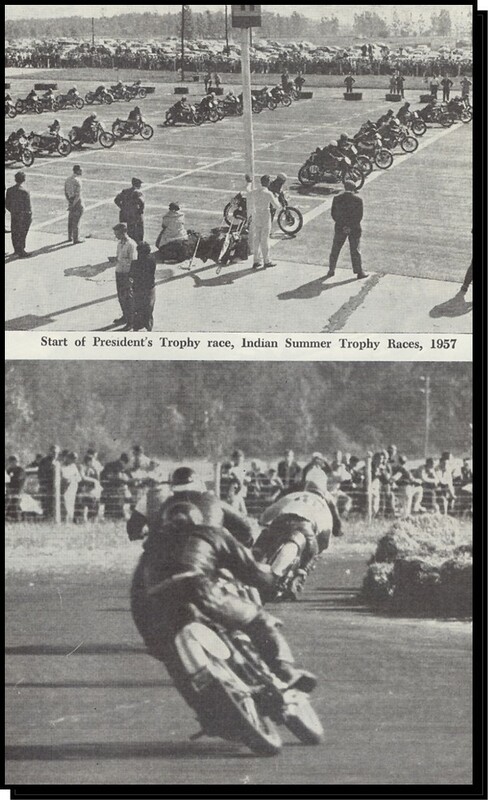 American brands already were well represented here and the American Motorcycle Association was involved in sanctioning a growing number of competition events in Canada. Canadians who thought this was an unhealthy trend banded together in Toronto, with the encouragement of importers for the English brands, and BEMC was founded in 1928. 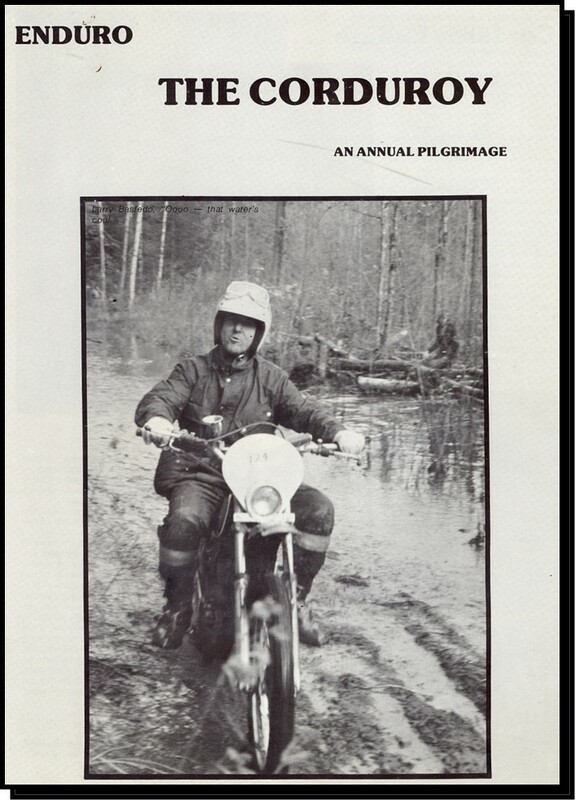 The clubs first elected president was Graham Oates, a native of the Isle of Man who had just completed a great motorcycle adventure across Canada. His single-cylinder Ariel with sidecar built by the Sturgess family dealership in Hamilton, which is still in operation today, was the first rubber-tired vehicle to travel the country from coast to coast. Lack of any roads in northern Ontario forced Oates to travel hundreds of miles on the Canadian Pacific Railway tracks, giving the rider, bike and sidecar a severe pounding, but great publicity ensued. Club headquarters in the early days was the Overseas Motors dealership on Danforth Ave. where Oates was vice-president, and which imported Ariel, Coventry-Eagle, Matchless and Rudge motorcycles.The British Empire Motor Club was quickly involved in organizing trials, scrambles, hill climbs and road races in Southern Ontario anywhere a suitable location could be found. Those locations seem unlikely today. 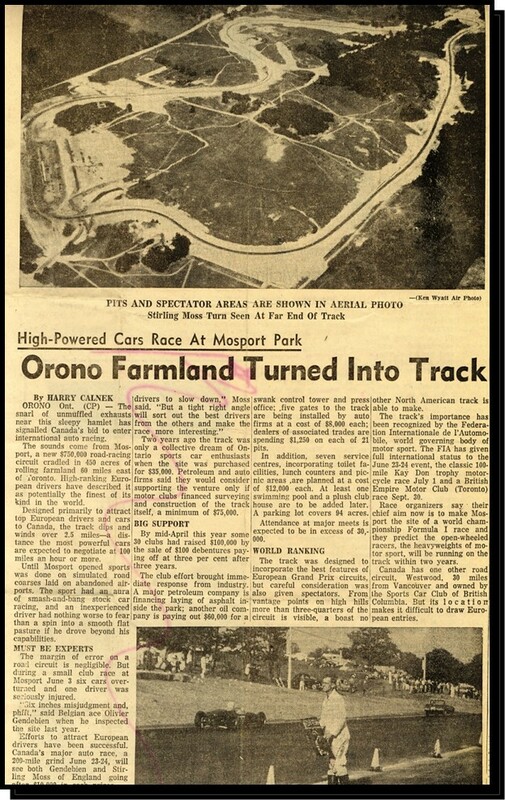 Hill climbs were held on the banks of the Don Valley in the days before building of the viaduct; scrambles took place near Lake Ontario in what is now residential Mississauga and 24-hour races were run over gravel public roads near the Forks of the Credit. The Bayview TT held in the early years, used the Bridle Path and Post Road for two years before building of the spacious mansions that dominate the area today. When permission was no longer available for road closings in Toronto, the club secured access to what was then the broad sands of Wasaga Beach on Georgian Bay. 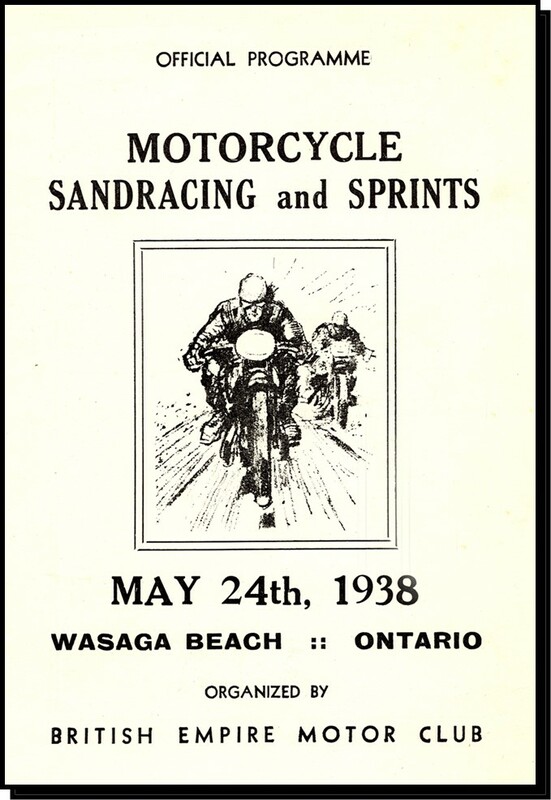 Once a year BEMC held speed trials and long-distance races on an improvised beach course that attracted substantial crowds and which lasted until the final event in 1949. 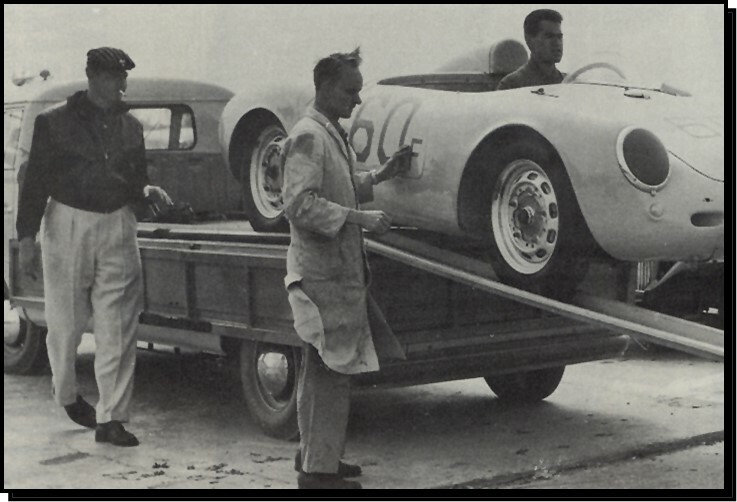 BEMC was formed purely as a motorcycle club, but in 1939 decided to open its membership to car enthusiasts. The first joint program with bikes and cars was held in 1950, at a former wartime airport at Edenvale, near Stayner. It drew 16 four-wheel entries, but six years later the number grew to 122 when the club moved its activities to another abandoned airport, this one to be known as Harewood Acres, near Jarvis. Ont. 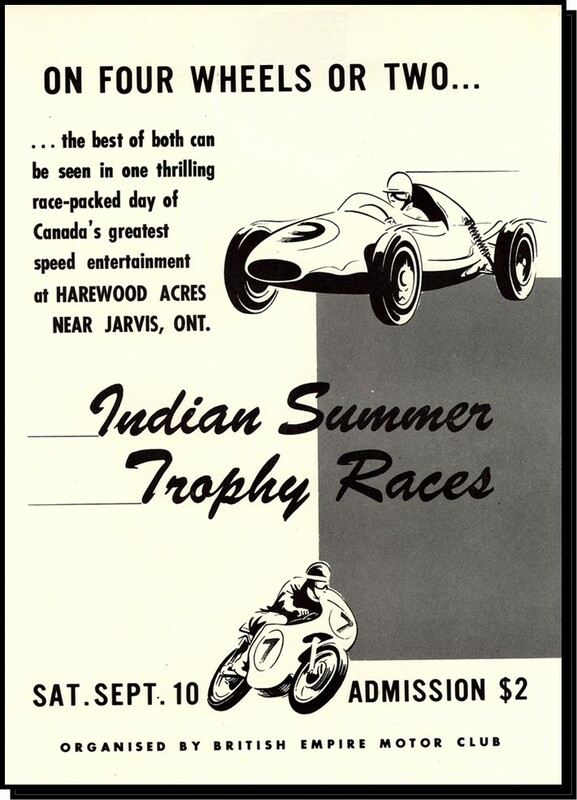 Harewood was the mainstay of road racing for the next 15 years until BEMC's bold move at property ownership bore fruit in the shape of Mosport Park, now Mosport International Raceway. 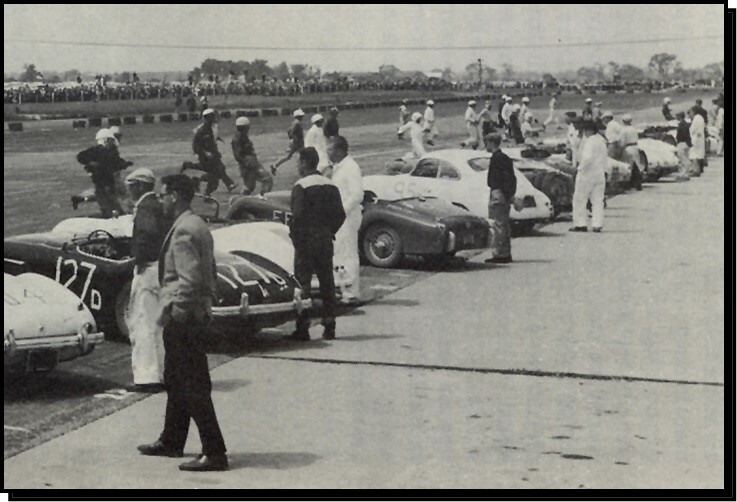 The first motorsports event held at Mosport was in fact a fund-raising scramble on May 24, 1959, well before the pavement went down. 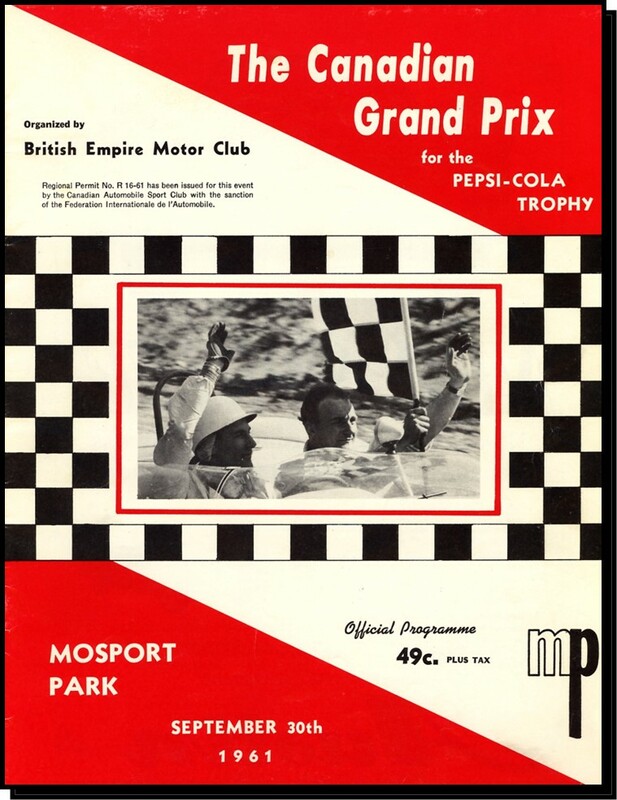 After a succession of financial problems, Mosport ended up in private hands in 1966. 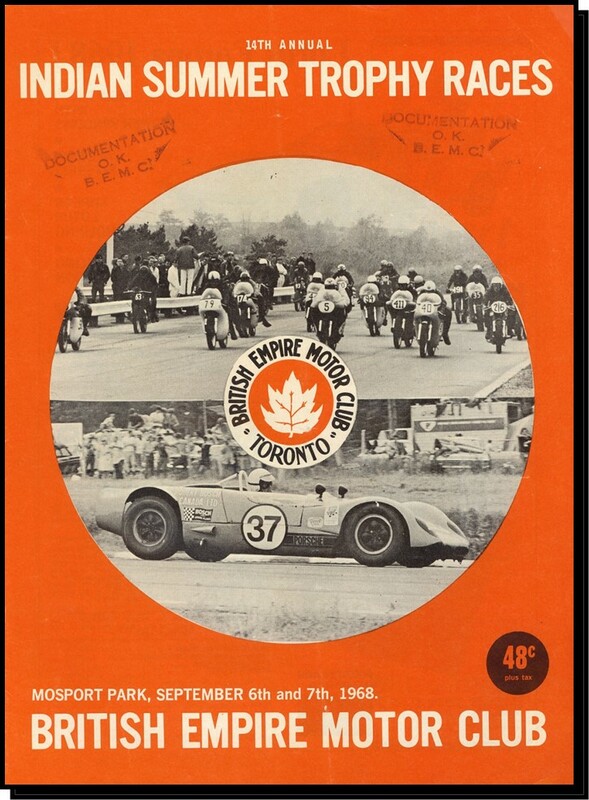 BEMC has organized more motorsport events than any other club in Canada. At its peak, the club counted 597 members in 1957. 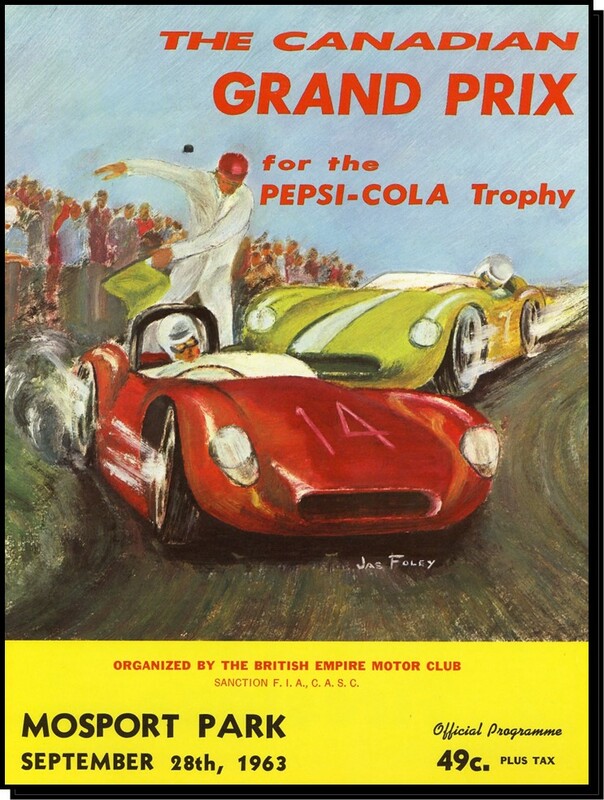 Its calendar of events included car and motorcycle road races, hill climbs, ice racing, scrambles, trials, rallies, driving skill tests and social events. 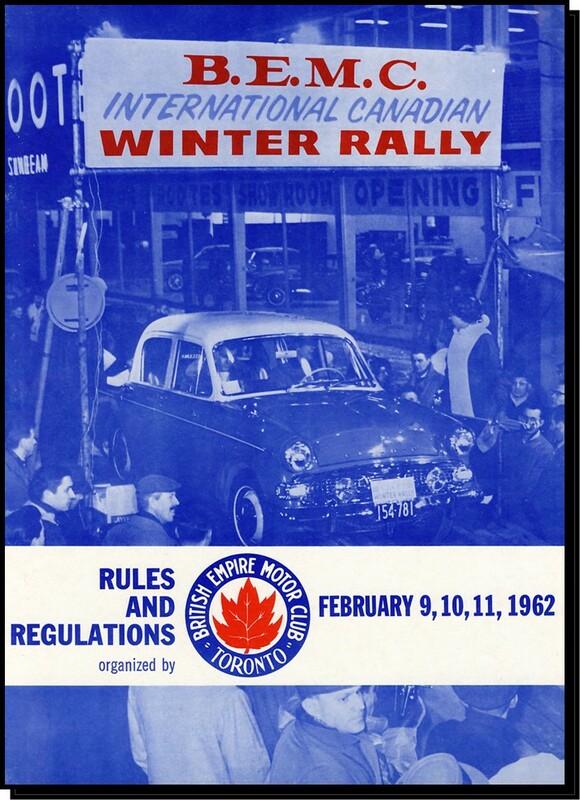 Today, BEMC is still active and organizes two car race weekends at Mosport, an ice race and the Corduroy Enduro, all events with a history of more than 50 years. 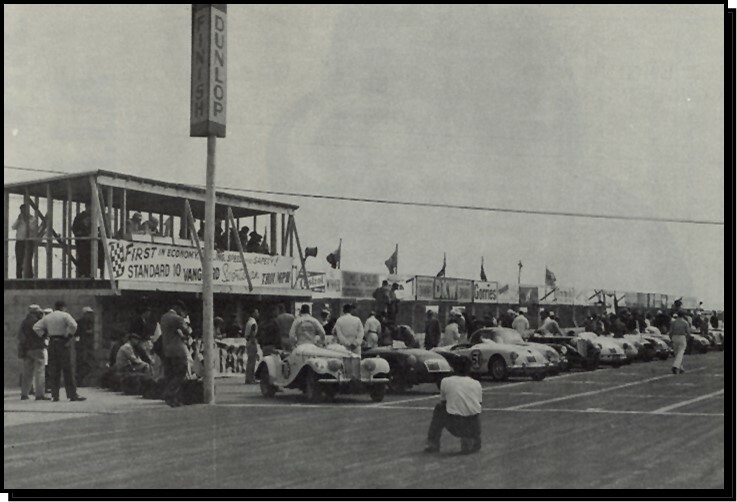 From 1928 to 2008, BEMC has kept motorsport on track. BEMC was inducted into the Canadian MotorSPORTS Hall of Fame in 2003. CLICK HERE to visit that website.